Cocolulu is a Japanese brand that’s synonymous with the “gyaru” fashion culture. 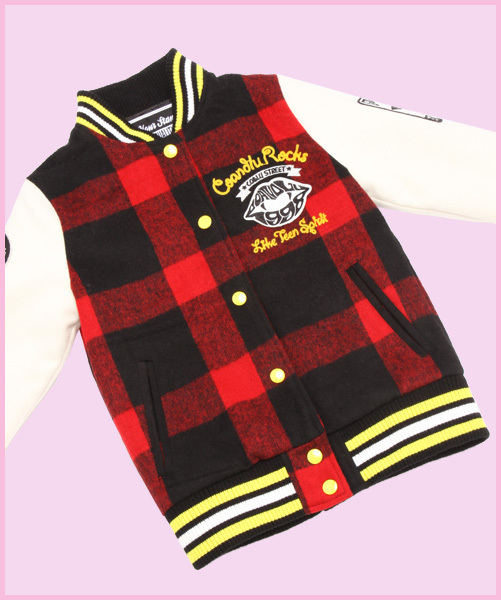 This beautiful quality plaid patterned baseball jacket is an american icon with a fresh and wild Japanese twist. Featuring a cute straight cut and Cocolulu patches, the emblem on the back is a vibrant fashion statement.